Sculpture in Stone (MFA), no. 227. The strut between the big toe and its neighbor remains. 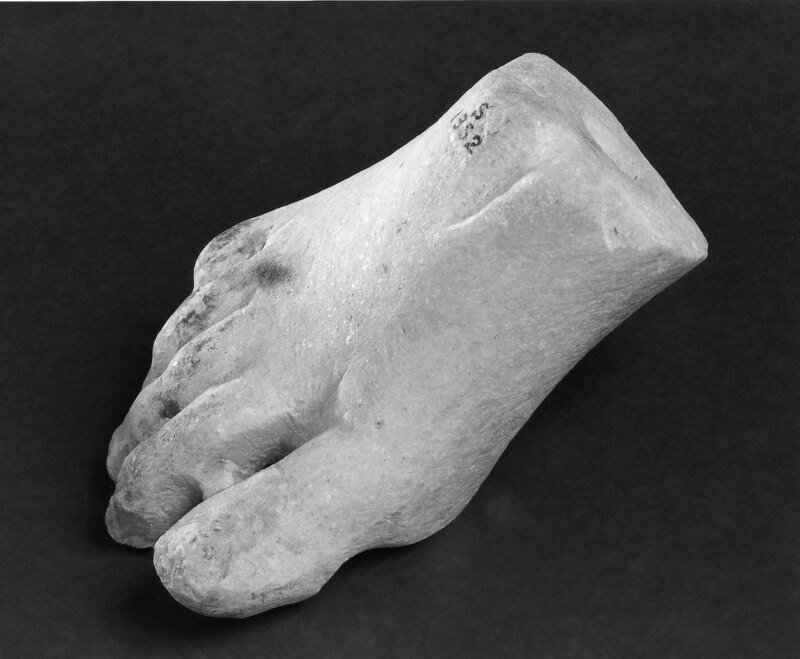 The bottom of the foot is worked roughly, to be set on the plinth which may have been attached to the draped legs. There is considerable yellow discoloration on the toes and the bottom surfaces. The area at the break has been worked smooth, and there was a dowel, perhaps for attachment to a draped statue. 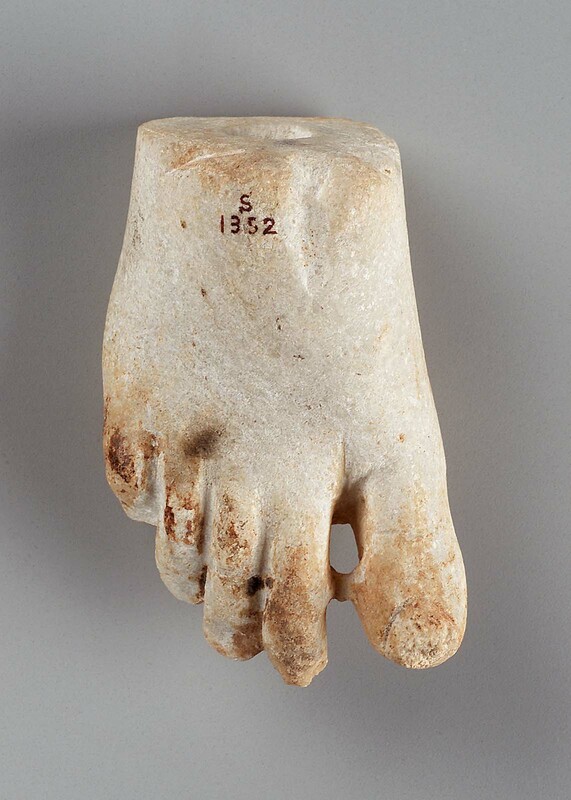 The foot seems to be that of a goddess or woman. Among the former and, indeed, the latter, the choice is limited, since there is no sandal in evidence. A half-draped Aphrodite, with the garment coming down to the feet itself, seems the most logical candidate. From the northwest hill (House 30, San el Hagar). 1886: Egyptian Exploration Fund Collection; 1886: Given by the Egyptian Exploration Fund to the MFA.